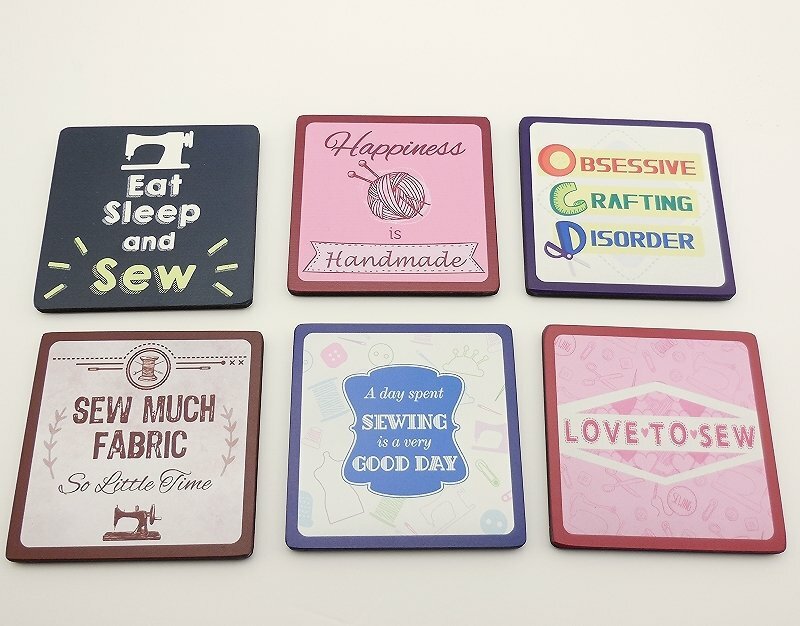 6 Designs include Happiness is Handmade, Eat Sleep and Sew, Love to Sew, A day spent sewing is a very good day, Sew much fabric so little time, and obsessive crafting disorder. 3.5" Square with button feet. Great gift for your sewing friends.